Universal Translation Services is a leading online translation agency offering high quality services over the internet, but you can also talk to us in person if you come visit our offices. We are one of the world’s top translation companies who offer professional services at affordable prices. Here at UTS, we offer high quality global translation services for personal and business matters. We have searched for only the top linguists and have recruited thousands of expert translators. Our services are available worldwide ensuring no-one is left without quality translation. Our offices are based in Europe and USA and we are open 7 days a week, 24 hours a day, meaning no matter when you require our service, we are always here to help. 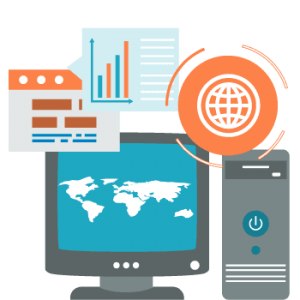 UTS is your number one partner to help translate business documents or even whole websites and web pages. 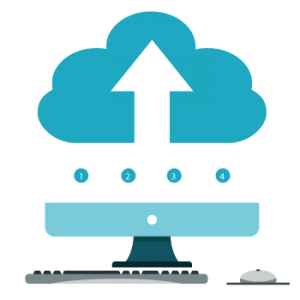 Our multilingual publishing process is fast but effective and offers a wide variety of services, and our software localization team is always ready to help you with translating your software or app in any language. Certified or notarized translation for immigration is yet another service we provide at some of the lowest prices you can find, and we guarantee the acceptance of our translations at any USCIS office. We are honored to be members of the ATA (American Translators Association) and we have been accredited by the BBB (Better Business Bureau) and as such, you can count on us to always hold to our promises of delivering high quality translations in the shortest amount of time and at some of the most affordable rates. At Universal Translation Service, we believe human translation services are the only way to go when it comes to giving honest and accurate translation. As a translation agency we have the responsibility to ensure the best translation is given and that is why we only use 100% human translation. 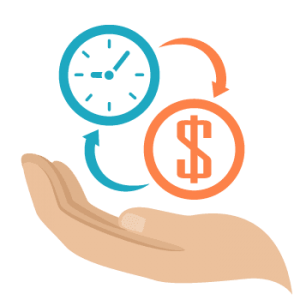 We manage every translation project with care and ease and for us, we believe affordable prices are crucial. Without affordable prices, clients wouldn’t be able to afford our service and that is why we always do our best to ensure prices are fair and reasonable for everyone involved. Deadlines are crucial, at Universal Translation Services, we know and understand this and always have every deadline met to ensure quality all around. We stick to the deadlines. We are THE online translation agency in the USA you can trust. If you are interested in stretching your business further and want to gain new customers, we have every translation solution for you. Our solutions can be used across all channels, platforms and devices; and with our hard work ethics and know-how, you’ll be left wanting more! Individuals looking for translation services for immigration in the United States can also count on us to deliver cheap certified translations which are guaranteed to be accepted by any Immigration Office in US. There are more than 18 years of experience here at Universal Translation Services and we are very proud of that because it means we have become an expert in our field. There aren’t many translation agencies out there who can say the same so we are bursting with pride. 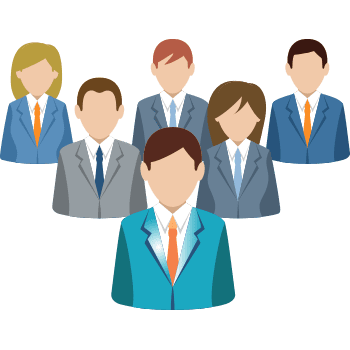 Each year we have been around has given us the ability to recruit skilled translators and as we’ve already said, we only employ the best in order to provide high quality global translation services. The best English to French translators are selected for French translations and we select the best German translator for English to German translation. How are we able to do this? Well, it’s very easy – every single one of our translators have undertaken and passed strict translation tests. These tests help to separate good translators from the best and we only choose the best. Our high quality-focused strategy for professional translation services goes even further. 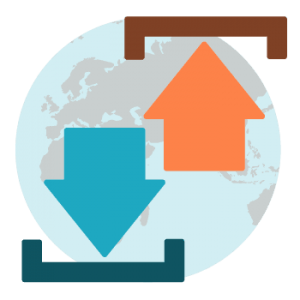 Our translators used terminology management tools as well as our Translation Memory technology, which really helps to speed up translation. However, even after the translator has done their job, there are still quality checks carried out by native speakers who proofread the text as well as our Quality Control linguists who pick up on any faults. This is our tested procedure and it means we have provided a language translation company service to thousands of customers around the world. We have served people in the UK, US, throughout mainland Europe, Kuwait, Japan, China and many more and we have left everyone satisfied with the results. Universal Translation Services is the founding member of the Translation Project Management (or TRANWISE) and thanks to our flexible system, you can move to us without any hassle whatsoever. 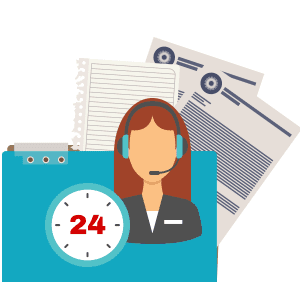 Everyone who wishes to use our services has access to our portal 24/7, allowing them the freedom to upload text for translation as well as speak to our representatives via Live Chat. Tranwise also allows you to quickly check your invoices and payments, but it also gives you the ability to chat with the translators assigned to your job in real time. There are numerous translation agencies but the best ones are just a mere few. The demand for translation services has led to a surge in translation companies. But not every agency is a pro in the field; it takes years of experience and a multitude of hard work to get to a certain position. Nothing comes easy, it demands rigorous labor and thorough meticulousness only then does one reach the heights of absolute success. That is how we evolved over time and thus became the best translation agency in USA. In order to get the best translation services turn to UTS. We offer online human translation services for almost all languages in the world. We have experienced translators on board who are proficient in Spanish, Arabic, Dutch, Polish, English, French, Russian, Portuguese and many other languages summing up to 200 major languages and pairing of more than 500 languages of the world. You will be marveled by how spectacular our work dealing is. Apart from quality, reliability, efficiency, on-time delivery, expert translators, proofreading & editing, we offer confidentiality. Which is a most important yet the most neglected feature in a translation agency in USA. We maintain strict confidentiality. 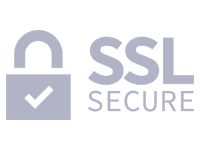 We assure our clients that their personal information, translation content and payment information would always remain secure. We keep our integrity and that of our clients our top most priority. And it is the minor things we keep into consideration that makes us stand out as the best translation agency in the USA among the crowd. Our online translation company is available to you 24 hours a day/7 days a week. This includes all holidays and weekends. Translation needs don’t stop, because it’s a holiday, or come only at certain times of the day. The process of translation services does not work that way. Just call us, and we will get you the best translator for your specific needs on time. 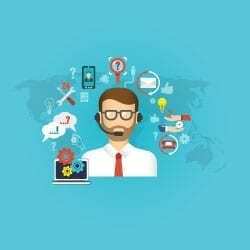 There is no obstacle, as our experts related to the language you need to be translated, are always available online to explain all your questions and help you with your translation. Many translation companies offer huge discounts on their services but fail to provide content that can be deemed fit for certification while others are too expensive for common men to indulge themselves into. Universal Translation Services is available both online and offline and no matter how you get in touch with us, you will get the same high quality services at the most affordable rates a translation agency is able to offer. We offer cheap translation services from and into English at a price as low as 10 cents per word (conditions apply) which has made our company the second largest amongst the fellow competitors of the translation world that provides quality work at cheap rates. When it comes to translation for USCIS, we provide certified translation services for any personal document, from any language into English, at only $20 per page (pages under 200 words), and our translations are done in 24 hours or less and are guaranteed to be accepted at USCIS. With us there is no such thing as hidden charges for extra services. Many companies file extra charges on their clients for revisions or editing and proofreading of the translated document. We on the other hand have always provided the best customer care to our clients and we’ve never made compromises on our work. As an example, we do not take any extra charges on proofreading or for revising our work. There is absolutely no kind of rush rates if you need urgent translation because we know how important such work can be for our clients. There is absolutely no compromise in the quality promised to be provided, be it that the translated document needs to be delivered urgently or the document needs to be translated at a cheaper rate. We have become what we are today due to hard work and dedication towards our customers. Happy customers is what kept our boat floating therefore customer satisfaction is one of our top priorities. A happy customer is a returning customer. A happy customer is willing to get the word out about our services and recommend us to their friends. And happy clients are our main goal. Why would you trust online services? Online translation agencies have a history of battling trust issues with clients. Clients find it hard to show up for translation agencies that are run online because they are paying hard earned money and fear the agency can evaporate in the air at any moment. That fear makes clients reluctant to use online services. The client also finds it hard to begin the translation process knowing that they cannot physically visit the office of the agency and debate the translation and its content. And yet, the fact is that the services provided by our online translation agency are of the same high quality you’d expect if you’d visit our offices in Aventura and Miami. There are hundreds of clients who have dealt with us at our offices as they found it to be more convenient to conduct business in person, and there are thousands that entrusted us with their translation needs and have ordered online, and we have yet to hear any complaints. Both our online and offline services are conducted with the same care and attention and we never compromise on accuracy, no matter what. In case of complaints or comments in regards to our translation, we quickly re-open the project and work on it until the client is happy with the outcome, and we do that even years after the translation has been delivered. what is the advantage of an online translation service compared with other translation service companies? When looking at truly professional online translation services, there are many options to consider. Will you need automated or machine translations or will you require good quality translations by human translators? This decision will be based on the amount, speed, intended use, and the type of material that you need to be translated. Access to professional translators with extensive experience. Ability to meet deadlines, sometimes within a few hours. Cost-benefit, mainly if an offshore agency provides the translation. Secure online access to quality translators at competitive rates. Access to reliable translations. This is important if the documents are legal or likely to be published in a public domain. The translation industry is fast moving towards online translation even when they have a strong client base at their local offices. When a translation agency has worked well in the local area for a long time; they want to help their clients abroad as well. As a fact, we started as a global company helping clients from all over the world with their translation needs. Many agencies develop an online presence because they want to expand their businesses. An online presence helps them in reaching to a larger audience and gives them the ability to hire more translators. The international exposure polishes their local translators as well and makes them work at a larger scale. Believe it or not, we get a lot of calls from far-out clients who ask if we’re able to help them. We always do our best to do just that, no matter if it’s a company looking to expand its reach or an individual looking to immigrate to the US. Our services are of exactly the same quality, no matter if you order online or come to talk to us directly at our office. I can’t believe what a world of help I got from this translation service. They are open 24 hours, which is impressive. Translation quality is top-notch and prices are affordable. I have been very pleased with Universal Translation Services. I asked for a quote on their site and received it quickly. It is very inexpensive for the value of the service. When they claim to solve every communication problem, they really mean it. I only wish they were available to help communication in my marriage! LOL. I have been very pleased with UTS. I asked for a quote on their site and received it quickly. It is very inexpensive for the value of the service. I would recommend it to others. I had a concern, and contacted them at 2 AM, and they were able to get right back with me. I’ve also used the live chat, in addition to contact and quotes. Keep up the good work! I am located in London, and I’ve corresponded with UTS’s office in Europe. They’ve been very efficient and easy to work with. They are the ONLY company to seek for translation needs. With online translation companies, there’s no way of finding out how good they actually are. You will have to go through extensive research in order to see if the company is a good fit. But, you have that assurance with us. 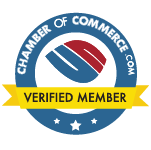 We are ISO certified and accredited with the American Translators Association to provide the best translations for our customers, no matter if what you’re looking to translate is a business document or your personal documents for immigration purposes. Even with the online platform, you have the option to get in touch with our project managers, get instant quotes and discuss about your ongoing project with us. And with an experience of almost two decades, we know how to do our work, so for all your translation needs, we are always online. With the advent of technology and rapid shift in innovation, everything is available online, why not a translation agency? We are the one that is available at all times; you can find us easily when you need us most. We are a professional translation agency online which puts the customers before anything; we guard their personal information with the same care that we put in the provision of quality services. While you can always visit our offices, if you can’t, we give you the option to get in touch and order online, and you’ll be treated with the same care and attention as if you’d have visited our office. So, the next time you want accurate translations for any purpose, you’ll know where to find us. We have offices in Europe and in the United States, which allow us to recruit the best translators from all over the world. Our live connection with all our translators, editors and proofreaders gives us the ability to take on any task no matter its size. 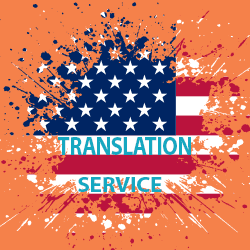 If you need a translation service USA that is available at all times, it provides accurate output and doesn’t charge a fortune, you will find us to be your best partner. Our ability to deal with any documents in any field and have them translated from and into any language is just one of the advantages in working with us. If you require a large volume of words each month to be translated into a second or third language, contact one of our project managers today. Our motto is “Quality is never expensive, but lack of quality will always be”, and we believe translation should be affordable so don’t be afraid to contact us. Professional translation services can be affordable when you choose the right language translation agency in the USA! 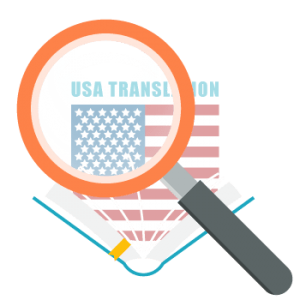 So what makes Universal Translation Services different from other USA translation services? For one, we are not limited to a few mainstream languages when it comes to offering translations. And we aren’t limited to the USA either. We operate in the USA and Europe and provide translations of more than 120 languages. We won’t turn you away if you need the translation of a language that’s only spoken by a few thousand people. But UTS does not only focus on quantity. The quality of our translations has always been remarkable. We also offer our services to those who are applying for immigration to the USA. The United States Citizenship and Immigration Services have strict rules and policies that need to be followed, and we understand the importance of those rules. We provide certified translation USA for those who want to get their immigration application accepted by the USCIS. We work with only one aim in mind: to provide our clients with ultimate satisfaction. 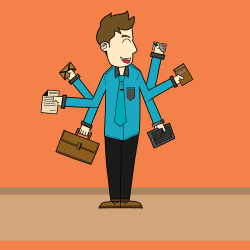 So if you send your documents to us for translation, you can rest assured that they are in the right hands.